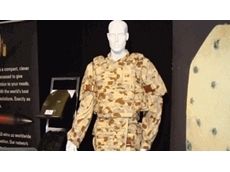 Australian Defence Apparel has said that 72 employees made redundant earlier this week would receive their full entitlements. Produced in conjunction with the Defence Support Group, the Defence Support Services Summit assesses current and future opportunities for industry to work with the DSG in areas of construction, maintenance and facilities management. Showcasing successful partnerships and pinpointing immediate challenges faced in servicing a modern defence force, the conference will feature keynote addresses by senior officials from the DSRG, and case studies from industry CEOs of organisations who are helping to drive innovation in support services. The Defence Support Services Summit is a must-attend for any organisation currently doing business with Defence, or for those wanting to gain a foothold in the service delivery of defence support.